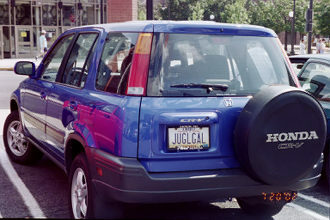 Click here or on the picture for the full picture of the car and owner. 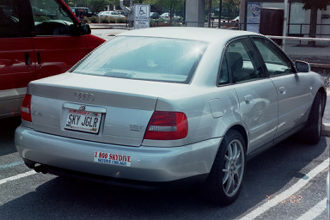 Click here or on the picture for the full picture of the car. 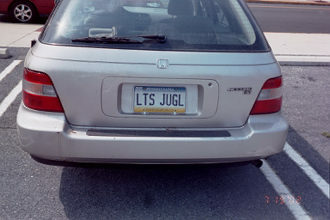 I M JUGLR - ????? 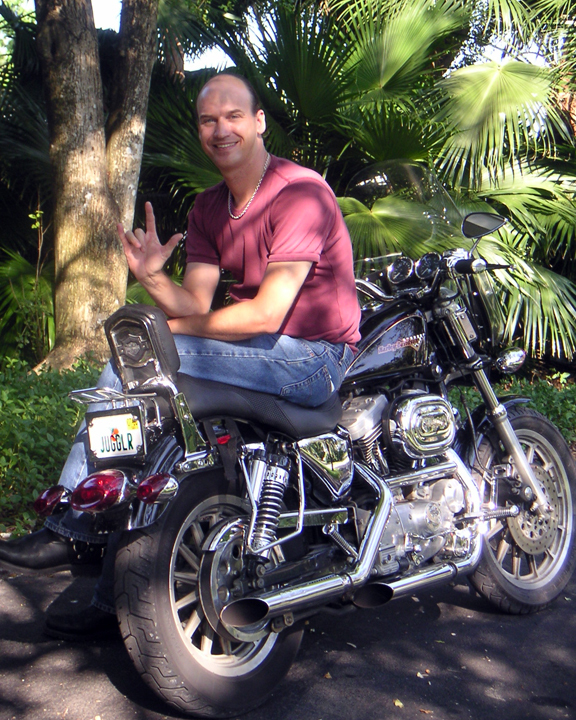 Click here or on the picture for the full picture of the motorcycle. 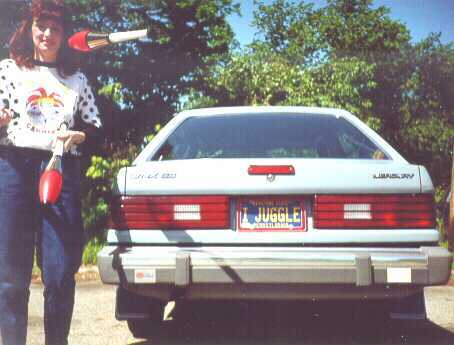 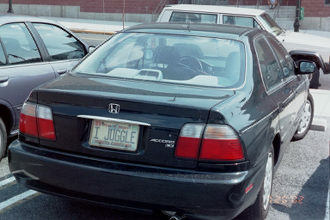 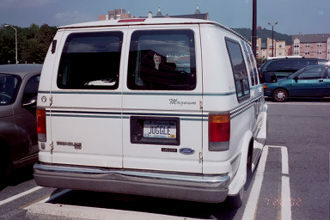 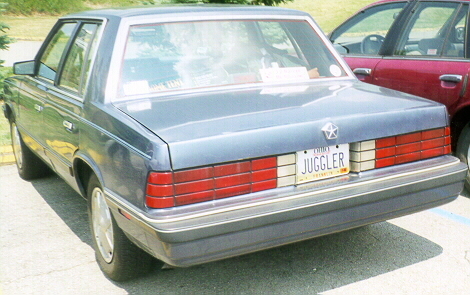 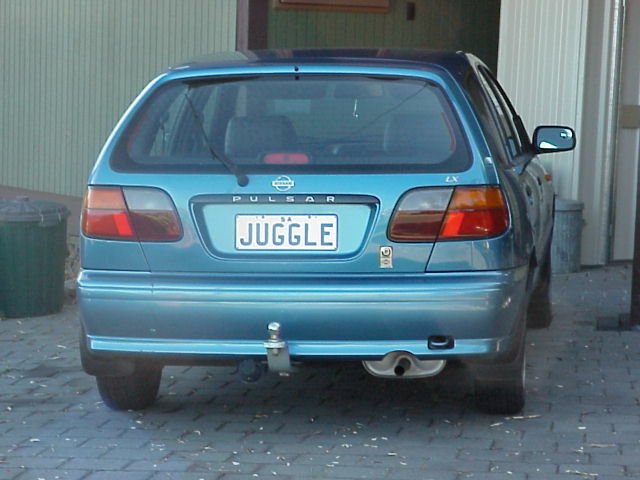 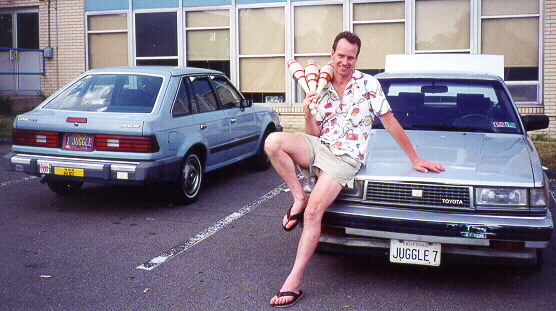 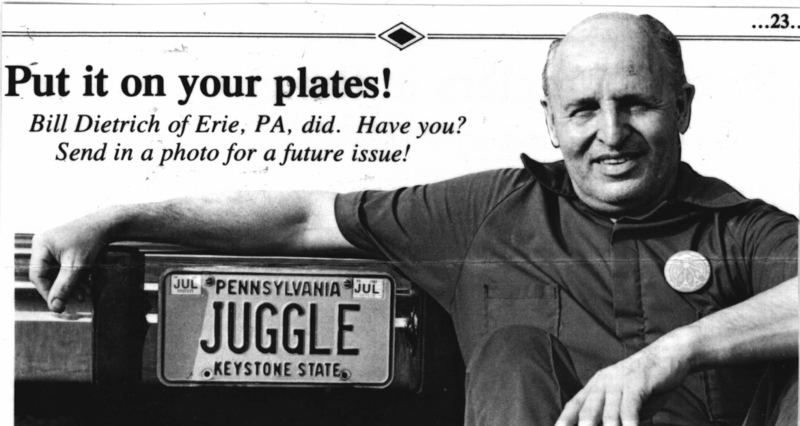 Visit also Juggling License Plates of Virginia to see photos of I JUGGLE, I JUGLE, I BJUGLN, JUGLN, JUS JUGL, JUGGLR, JUGLR, RAJUGLR, LV 2 JUGL, JUGGL IT, BOUNCE 8, BC JUGL9 UNICYKL, UNI RYDR, JUGL DIS, JUGL DAT, JUGL TYM. 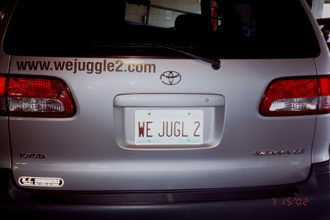 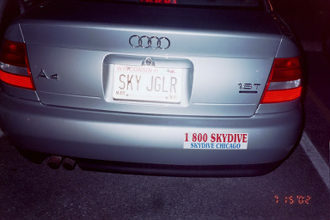 Or buy an "I'd Rather be Juggling" License Plate Frame. 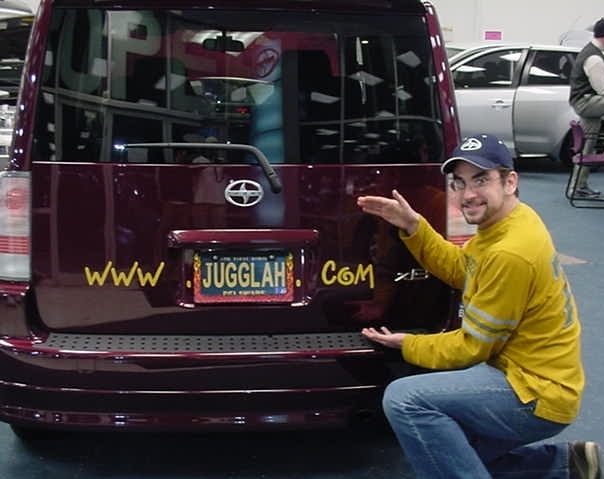 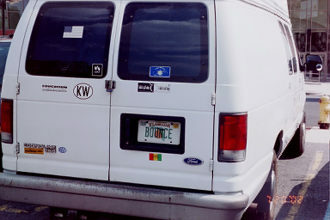 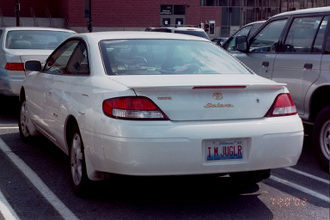 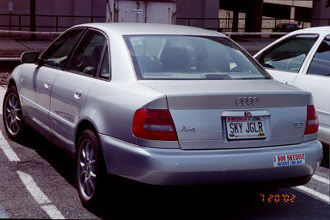 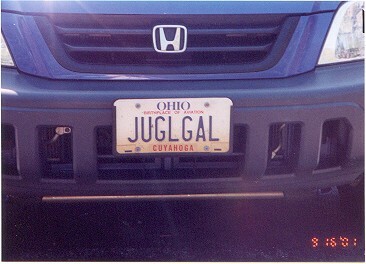 If you're interested in other sites dealing with personalized plates, you can find a bunch of interesting links at: Yahoo! 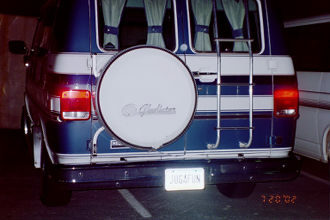 - Recreation:Automotive:License Plates:Vanity Plates.